Is there beauty in a wrecked car? Paul White thinks so. 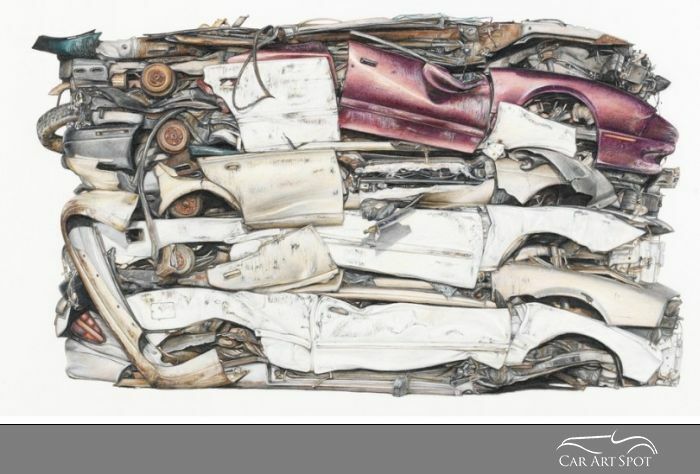 Find out how wrecking yards and ‘end of the world’ movies inspired his automotive art. 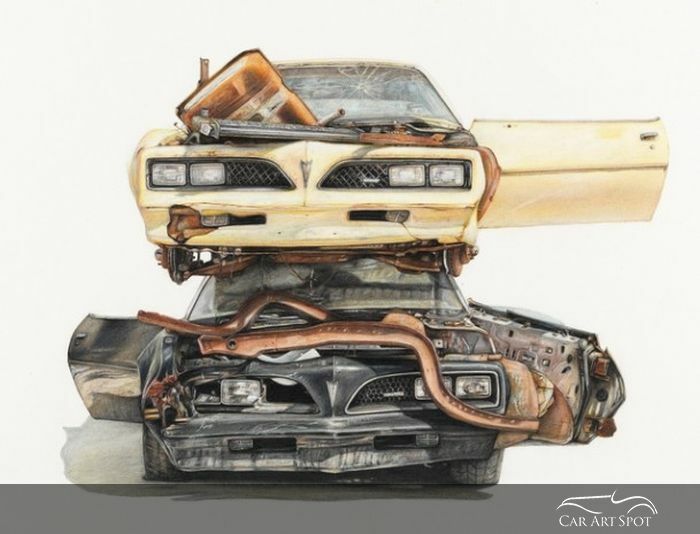 Paul, do you consider yourself an Automotive Artist or a general artist? I guess I am not an Automotive artist in general but I have always been into cars. Growing up with the car culture in the suburbs of Sydney, my Dad and family always had cars and I have always liked Australian Muscle cars. General Motors particularly. I’ve had a few Muscle cars and still have a 1974 Holden Torana SL/R 5000. It’s kind of like the Australian version of the Camaro. It’s bright green with black stripes. A real Muscle car. Do you do all the mechanics on the car yourself? Yes I like to do a bit but don’t have much time these days. 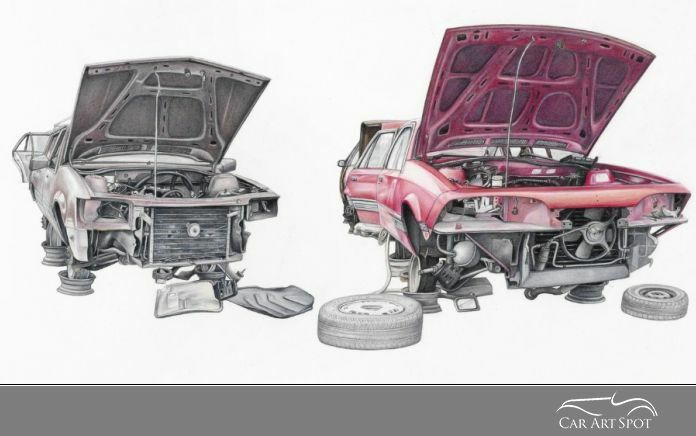 Your drawings show a lot of technical details of the cars and always a kind of deterioration. Can you share what is behind that? Well I grew up with old cars and I used to go with my Dad to wrecking yards to get parts for them. This is almost 30 years ago and if you needed a part for your car, you’d have to go to the wrecking yard and explore there for the parts you needed. Maybe that’s where it began. Thinking back to that, the decay, obsolescence and the way old things pass away with time and new things are created. It has to do with the whole idea of the history which you see in those wrecking yards. Do you visit those yards and take photo’s for inspiration? How does that process work? I lived for a while in Los Angeles and I think a lot of my ideas about decay came from there. It’s such a big metropolis and is kind of in decay itself. I’ve been back a few times just to take photo’s and visit wrecking yards, where you see lots of older cars. Your work is always about vehicles like old trucks, trailers and some campers etc. But there are never people involved. Why is that? Well maybe that’s inspired by all the end of the world movies I’ve watched. Where there is nothing left in the world except the remnants of things falling apart which were once used and necessary for us to get around. I like the quietness you get from looking at those objects. Is that a message you want to convey with your art? The deterioration and uselessness of how the cars become? Yeah, because there is a kind of beauty in that as well. In looking at those things which are so neglected and abandoned. I try to make them beautiful and really nice to look at. I guess there is also a message in there about our culture and the state of our world. You have done the Firebird on your homepage at least twice from different angles. Yeah, I’ve done a few angles of that one. 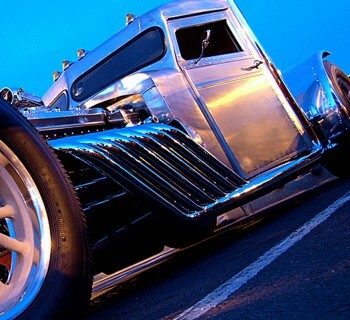 I guess there is also a personal connection with some cars because they are automotives which I desired as a kid, or saw in movies. I’m sure I drew pictures of them back then too. By presenting them in that run down state, it’s like time has passed and that is all behind me. 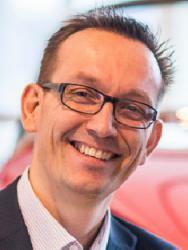 But there are particular cars like that, that I have an interest in anyway. Your style is always pencil on paper. Yes I always use pencil on paper. I’ve probably been working in that way for about 14 years. Before that I made different artwork when I went to Art School. How did you develop your style? Do you see some evolution in your work Paul? I hadn’t drawn since a kid really and wanted to go back and teach myself. It was a personal challenge and I progressed further and further. I like the idea of seeing how far I can go with such a simple medium like pencil and paper. You have a definite Paul White signature. Is it difficult to maintain that? I guess it’s a logical progression and one thing leads to the next and it makes sense. I don’t know. 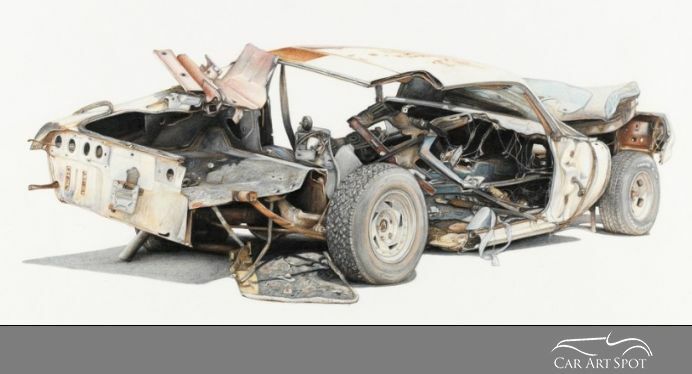 They are highly detailed colour pencil drawings but I guess what sets my signature style is how I present them. With a lot of white space around the image to give you more focus without any distraction. You have a very consistent palette in the colours you use. Yes, I guess I like the muted colours and with pencils you are a bit limited. It’s not like mixing with paints. You use a lot of Graffiti in your artwork. Is that already on the subject in the scrapyard or do you come up with that yourself? I think it’s probably there a lot in real life. Like when you go to a big wrecking yard with 4000 cars or so. There’s quite a lot of graffiti with all those cars going to waste. It’s also maybe the intensity of my drawings which bring it out as well because they are quite detailed and that also elevates the sense of gravity. Do you have a bucket list of things you feel you really need to do? I would like to look at using paints as another challenge for myself. Don’t you have the feeling that it’s tricky to change and tend to want to stick with what works? Yes, it is tricky when you become known for doing a certain thing. You feel as if you should stay consistent but it’s nice not to get stuck in doing the same thing as well. It’s also good to keep it interesting for yourself and for your audience and to try different things and evolve in different directions. Do you speak to other artists for inspiration and feedback? I have a lot of friends who are artists and I guess we inspire each other by seeing what the other does. Who is your main inspiration at the moment as an artist? Oh, there are too many. Lots of famous painters and a lot of my friends who are doing really great work. It’s inspiring to be a part of that community. 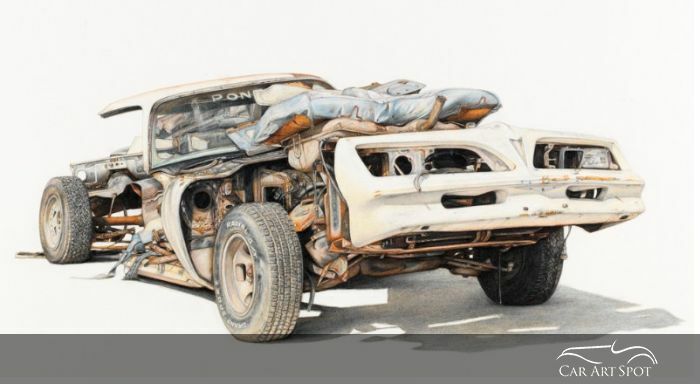 Do you have contact with other artists who paint cars? I’m probably alone in my group of friends for doing car art. Although we all grew up with Muscles cars and all appreciate cars. 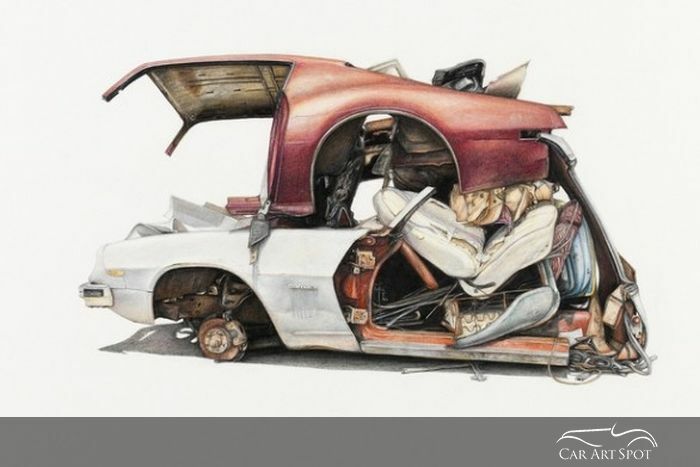 I know of another artist who is doing car elements in a very conceptional way but it’s not really about the car itself. His name is Aaron Martin . What do you think triggers buyers to purchase and collect your art Paul? Sometimes they are car people. Like the guy who bought the Firebird. He had a Firebird himself. 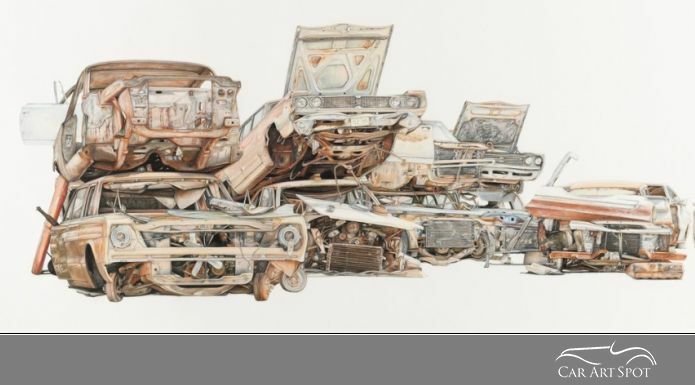 Other people may not particularly be into cars but appreciate the image as an artwork. How do you promote your work? I notice you have lots of awards and prizes. Art prizes are always a great way to promote your work. They give you some kind of validation and often the judges are good people to have view your work. I have a couple of galleries who represent and promote my work but more people probably see my work via social media. What kind of advice can you give to struggling artists just starting? I guess you just have to follow your passion. If you have the drive to do it, just keep going and it will find an audience one way or another. Social networks are great to promote yourself and spread the images you make. It’s probably as good a way as galleries ever were. It’s a tough road being an artist and even artists doing extremely well can fall out of flavour. Those who are dedicated, just keep at it and don’t know any better. What can we expect in the coming months Paul? Any new challenges? Well, although cars will always play a role in my work, I am starting to think more about natural elements like botanical work, landscapes and more elements of nature compared to the mechanical. Or maybe a combination of the two. 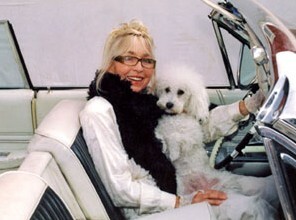 But I am known for my cars, so I will keep the consistency as well.